This is a wonderful baby carrier for all parents of little ones to have. it provides fantastic support for both baby and the wearer. No more tired shoulders, arms, and back muscles! 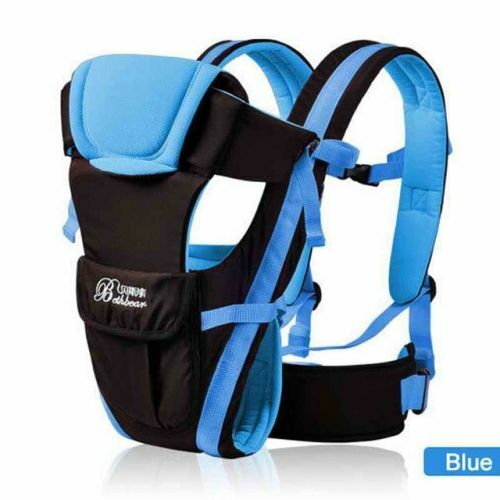 This carrier evenly distributes the weight of your child so that you feel comfortable. The soft lining of the carrier is safe and supportive for your baby. Their legs and body are snuggled into the fabric so they feel secure. This carrier is perfect for using around the house, when traveling, or even for going on a simple walk in the park. Suitable for babies 0-24 months. Materials: 100% polyester with high-quality comfortable foam filling. ORIGINAL BABY HIP SEAT WITH STORAGE PACK - CONVENIENT & FUN!